White cake iced with vanilla butter cream icing. 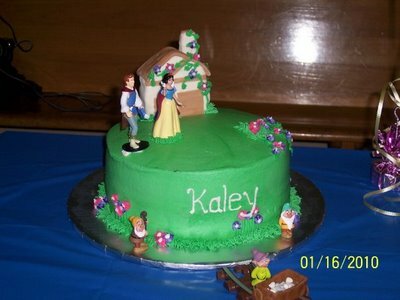 Rice Krispie Treat house covered with fondant. Figurines were provided by the customer. White cake iced with vanilla butter cream icing. 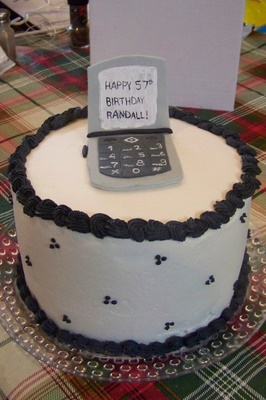 Cell phone is made out of fondant. White cake covered with vanilla fondant. Sanding sugar on the side to make it look frosty. 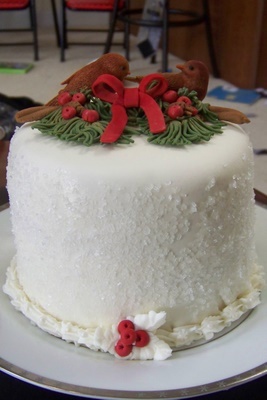 All decorations are fondant.